Cushion is shown without included ant-microbial incontinence cover. 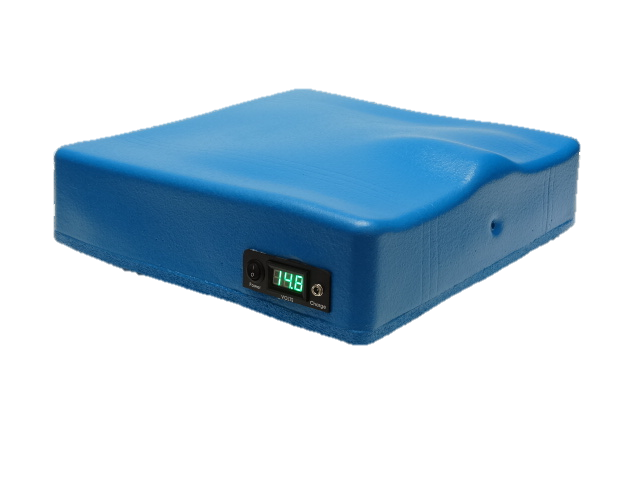 The SofTech Basic is ideal for residents that have existing pressure ulcers. This award-winning wheelchair cushion works in a similar manner as an alternating mattress, but allows residents to be mobile rather than be confined to their beds. 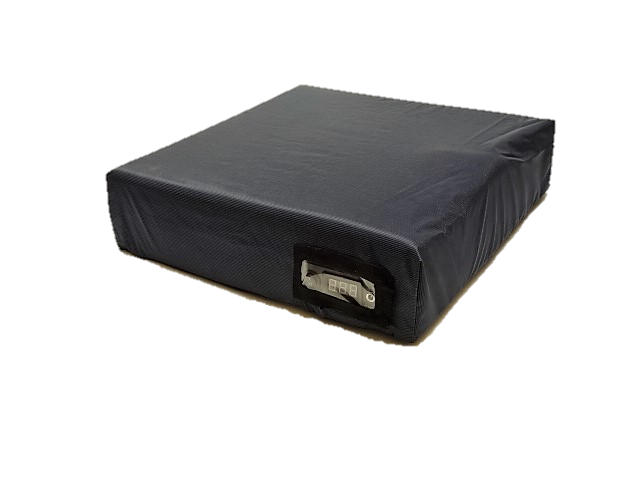 The SofTech Basic cushion adjusts its pressure distribution 60 times per hour and offloads under both the ischials and sacral area to keep these critical areas free of pressure. The firmness and cycle action are preset so the cushion inflates then immediately begins a slow deflate to gently stimulate the skin and tissue. There’s no need to continuously re-position the resident throughout the day. The SofTech Basic is simple to use. Just turn on the switch. There are no adjustments for staff to worry about. There is no training needed and you cannot hurt this cushion if it is turned on with no weight on the pad or if the battery is low. The SofTech Basic is ideal for the care center environment. A rental program for the SofTech Basic is available for nursing homes and care centers. Take advantage of our monthly rental programs for nursing homes and long-term care facilities. Aquila cushions eliminate the primary cause of pressure ulcers and skin breakdown, which is constant unrelieved pressure. A non-powered static air cushion, like a ROHO, cannot give pressure relief unless the user lifts themselves up. Other sideway movements on a non powered cushion do little more than weight redistribution for very short periods of time so there is no lasting effect. Aquila alternating cushions on the other hand give actual pressure relief automatically up to 60 times per hour for the entire time the system is turned on.